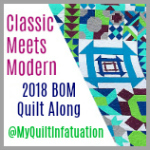 We've reached the halfway point in the Classic Meets Modern BOM hosted by Kelly @ My Quilt Infatuation. It's been fun making new blocks. I'm using the following Kona colours; White, Steel, Turquoise, Berry, Pool, Parrot, and Royal. X-Plus is a 10.5-inch block. Ribbon Star is also a 10.5-inch block. I can't wait to get all the blocks pieced together. Both your blocks look great! You are making great progress! Wonderful blocks. Love your colors. 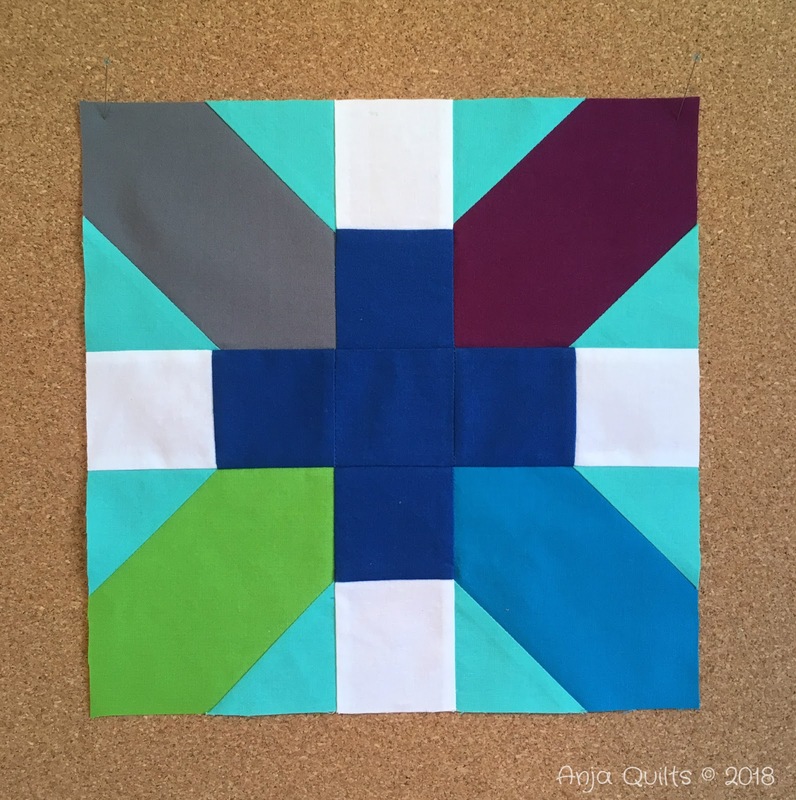 This will be a gorgeous quilt. 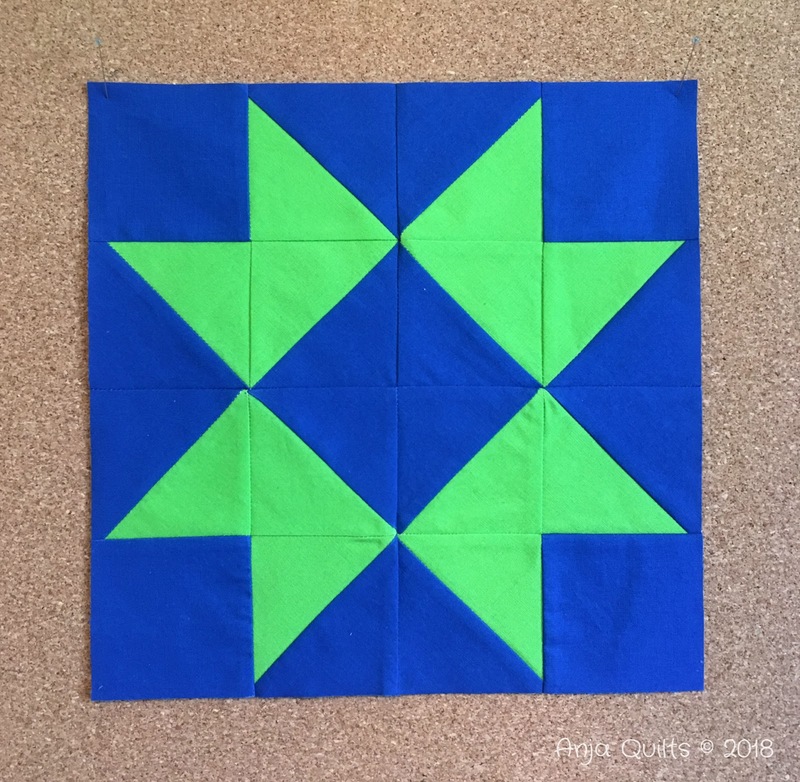 Thanks for linking up to Wednesday Wait Loss! I am living this one through you. I wanted to make it sooo badly. I love how all your blocks are coming together and can't wait to see them all laid out. Good on you for consistently making your blocks. They look like fun! These blocks are my favorites so far! They are all going to look so good together. Good job keeping up! Thanks for your comments -- advice and support is always appreciated. If you are a no-reply blogger, please include an e-mail in your comment so I can reply. If you do not hear back from me, you should check to see if you are a no-reply blogger.